With 4 finals to go in as many days, I decided to inter-space some studying with some non-studying activities like quick runs and a blog or two. It seems like the best days this year, were when I was simply working 40 hours a week. I could wake up and run a good hour, go to work, run another hour, and then run 4-5 hour days on the weekend. Unfortunately, fall semester hit, and I began to fill those week days with commuting 9-10 hours a week, studying 30+ hours a week, and working 20-25 hours a week (upwards of a 65 hour work week). That and not being close to decent trails in the morning/night led to some pretty weak "training". However, that said, I now am on the path to graduation in a few days, and looking at a place at the base of Trabuco Canyon (a solid 5,000ft climb) with a 40 hour work week again. Having gone without access to decent trails for so long, I've hungrily been planning on starting off 2011 right with 90 minute mornings and 2 hour evenings and long weekends running and camping up in Angeles Crest. My mind has wandered for awhile about 2011, and I think all sub-conscious and conscious desires point towards going all in on the 2011 Angeles Crest 100 Mile. The record has stood since 1989, and the fellow that did it (Jim O'Brien) completely dedicated himself to high mileage training and strong climbing. I think living at the base of a 5,000 ft climb during the week, and camping in the San Gabriels on the weekends should get me close to achieving his incredible 17:35 that no one's come within 50 minutes of (btw, Jim's 1989 course was two miles longer). 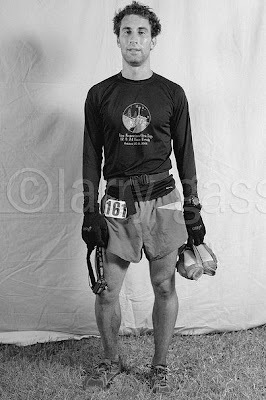 In support of that goal, I'll also race Miwok (if the lottery gods agree) and a 40 mile race from Mt. Baldy to Wrightwood and back in June that I'm working on getting put together with PCTR. Other than that, I'm going to steer clear of over racing, and focus more on holding higher mileage and climbing totals for longer. Hopefully my 2011 campaign gets me a little closer to living up to my potential. As they say, "we'll just know when it's right"
I enjoy reading your blog. What school are you graduation from and with what degree! Congratulations! I live on the other side of the mountains in the Antelope Valley. Hope to cross paths with you some day. Congrats on making it through school, and good luck with your 2011 training! Unfortunately my school involves a "beach" in it's title that limited the mountain running (CSULB). I'll definitely be up in the high country as much as the snow and legs allow. Thats a nice dream and goodluck 2011. I totally know how you feel, with schoolwork taking up valuable training time. Especially when I feel like I can get a lot more mileage in and the priorities just don't allow it. Good luck trying to break that record. You are talented enough, you have a good shot. Congrats on your degree. Off to the SEALs soon? You will do well. I am curious about that 40 mile run you are talking about. I am gonna give AC another shot this year. I ran it 4 years ago on no training. 28 long long hours. Like you, miwok is part of my build this spring. Your race sounds cool too. Any idea on dates? Well, I won't even be in sniffing range of sub 18 hours but I hope to be out there and would like to go sub 20. Maybe you'll run with me for a mile or two in the streets of Wrightwood before dusting me! BTW, my dad was a SEAL. Started in Coronado, then Post Grad school in Monterrey, Pentagon, and then Hawaii (Camp Smith). Hope you are well, man. Rod- Your 21 on the course is pretty damn legit. I think the local runners down here are getting better at picking it apart more effectively and putting up some good times. I could hardly tell you're a Navy brat! Your running definitely speaks for the example your dad set.